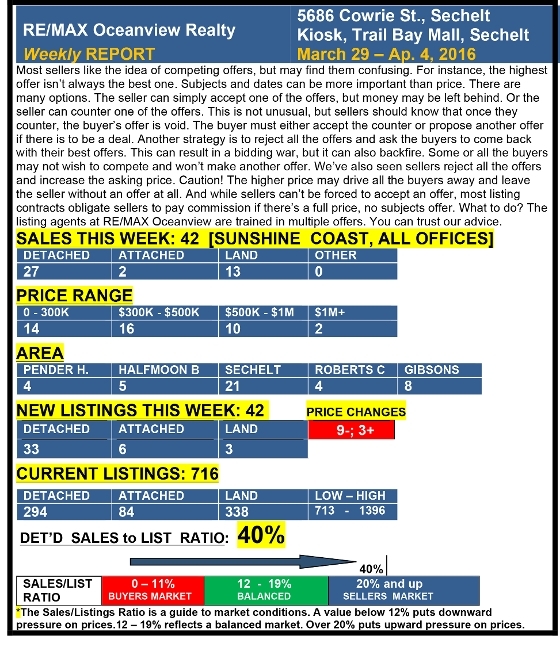 Here is our weekly real estate report for the Sunshine Coast, created by our brokerage Re/Max Oceanview in Sechelt, BC. As you can tell by the numbers below, the Sunshine Coast Market is hot. Be sure and give us a call if you're interested in buying or selling your property on the Sunshine Coast.